Nocturne Companion mask is from Gypsy Renaissance's Enchanted Evening mask collection. Nocturne Companion is a black velvet mask finished with black jewels. 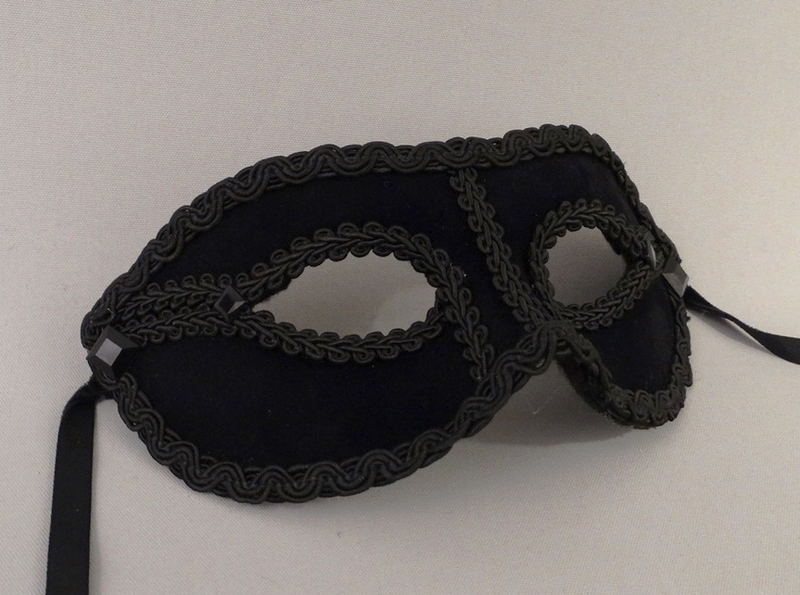 Nocturne Companion mask is covered with black velvet and trimmed with black braid. Mask is finished with black jet jewels.